Scorebook containing two old English songs for string orchestras. Songs include : 1. Sally in Our Alley and 2. Cherry Ripe, originally published in 1916. 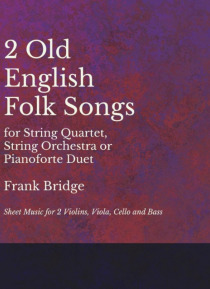 Classic Folk Music Collection constitutes an extensive library of the most well-known and universally-enjoyed works of folk music ever composed, reproduced from authoritative editions for the enjoyment of musicians and music students the world o… ver.